I’ll admit that I was hesitant to do slime. 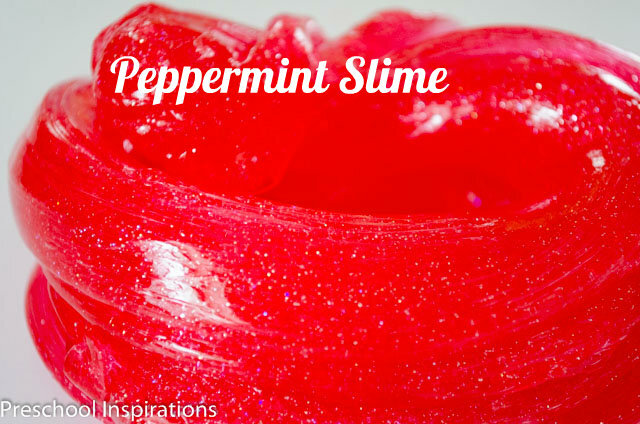 This peppermint slime recipe completely made my mind up about it though. The texture is wonderful and doesn’t leave hands goopy. Children who do not like messy play were interested in this, and my class couldn’t get enough of it! I will dare to say that we like it even more than playdough! The first time I brought it out, every child played with it for 40 minutes, and a couple played with it for two whole hours. 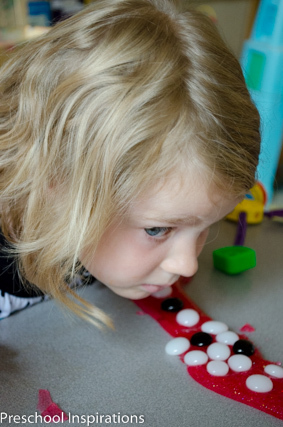 Whether you just love sensory play or if you need your child to be occupied so that you can have some time to finish a project, I would highly recommend this activity! We added glass beads, and the slime became our lava river. And yes, it does smell soooo good. 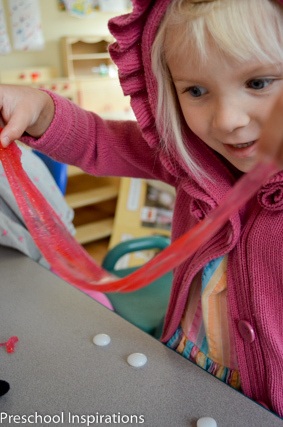 Our slime recipe starts off firm and gently bends after some handling. It can go from a glob to super stretchy. Our incredibly fun recipe calls for borax. Those of you living in the UK don’t have borax, so use the ingredients of this recipe that my friend Asia from Fun at Home With Kids came up with and combine it with mine below. While my recipe is great to play with, it is definitely not for eating! 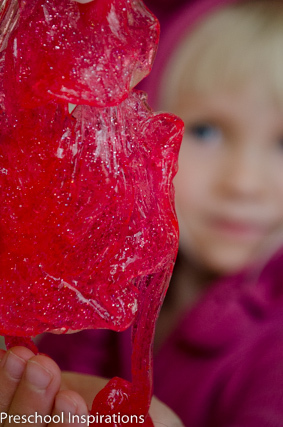 If you have a child who loves to taste everything, I wouldn’t make slime with them. If you would prefer to make slime out of Sta-Flo instead of borax, you can find directions to it from my friend Stephanie at Twodaloo. Only you know your child well enough to determine if he is mature enough to use slime. I didn’t have any hesitations with my class. 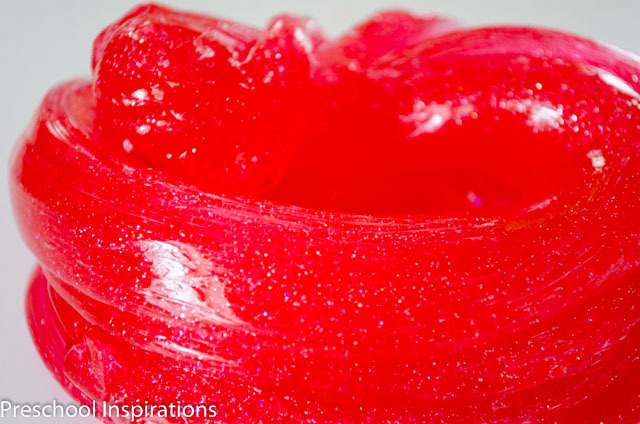 I chose this borax-based recipe because I like the transparency of this slime that you don’t get from Sta-Flo. Plus, I had borax in my laundry room already. Here’s my homemade peppermint slime recipe. 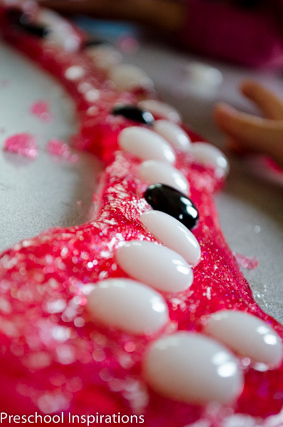 You might find it helpful to read my post about the most common mistakes people make when making slime. This way you can avoid the most frequent mistakes that causes slime to fail. 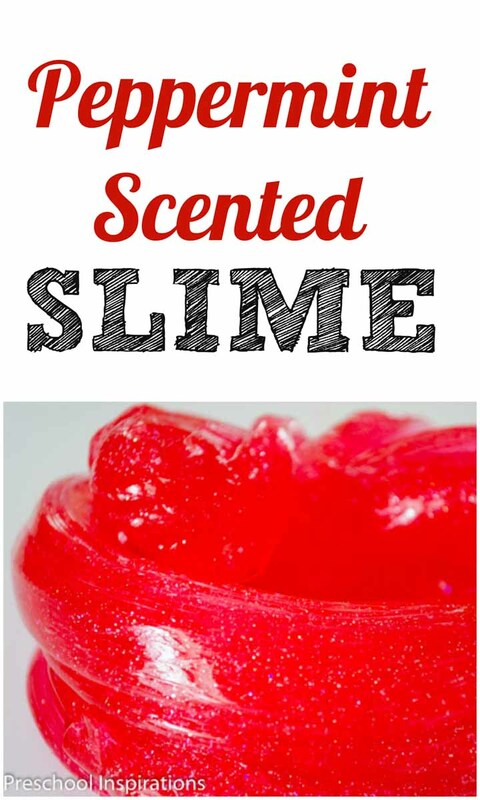 This recipe is short and sweet, but I made a really detailed post about making slime over at how to make perfect slime. If you are not used to making slime already, I would take a look over there to be sure to get the detailed instructions! Start with 1 cup of water in a bowl and put 1/2 cup of water in another bowl. In the bowl with 1 cup of water, add borax and stir until it dissolves. If you’re using warm water, this should just take a minute or two. In the bowl with 1/2 cup of water, add a bottle of Elmer’s clear glue and stir. You can certainly substitute white glue, but the color won’t be transparent. Now add the liquid watercolor and the peppermint extract, then stir. Combine the bowls into one, and wait for about a minute. You will see the borax beginning to polymerize with the glue. Pull the slime out of the bowl and dump out the excess water. 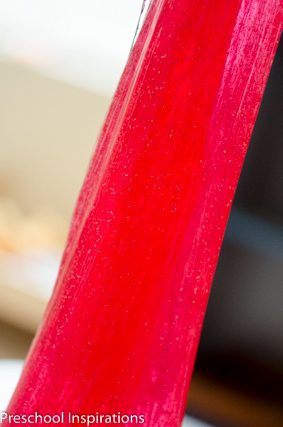 It will be a little bit sticky at first, but then it will all come together in a beautiful texture to play with. Then sprinkle glitter on top (if desired) and knead it in. If you run into any problems with slime making, check out Fun at Home’s tips for fixing problems with slime. You’re so thoughtful to thank me, Kerry! I am happy to help :). Hi, for people in the UK, you CAN get borax! On Amazon, I got 2 kg for about £10 including p&p, smaller quantities are available! And it will last for ages at 1 tsp per recipe. Have fun ? Do NOT buy borax substitute (in a green box) it doesn’t work!! That’s fantastic to hear! Thank you so much for sharing that!